The main colours are purple and sea foam. At the middle, the vahine Hinano is such as the logo of the famous beer brand manufactured by Brasserie of Tahiti. 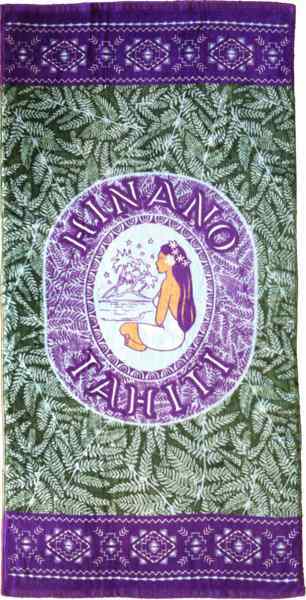 Hinano - Tahiti is written in white letters around the logo. All around abound patterns representing tropical leaves in green color.